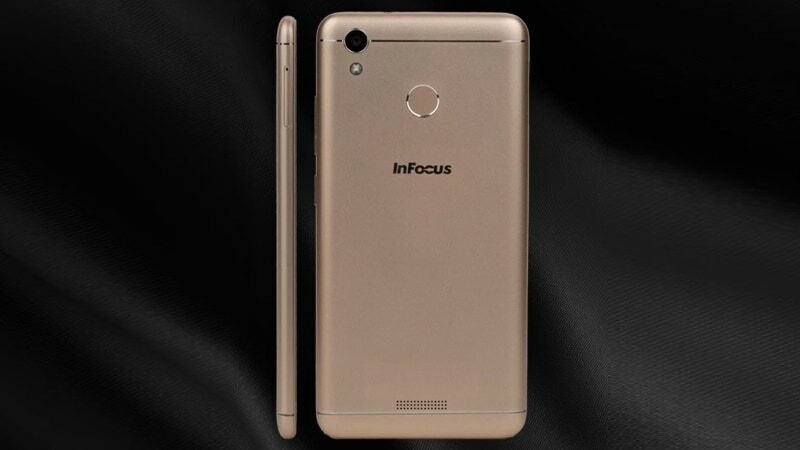 InFocus on Wednesday launched its newest smartphone for the Indian market. 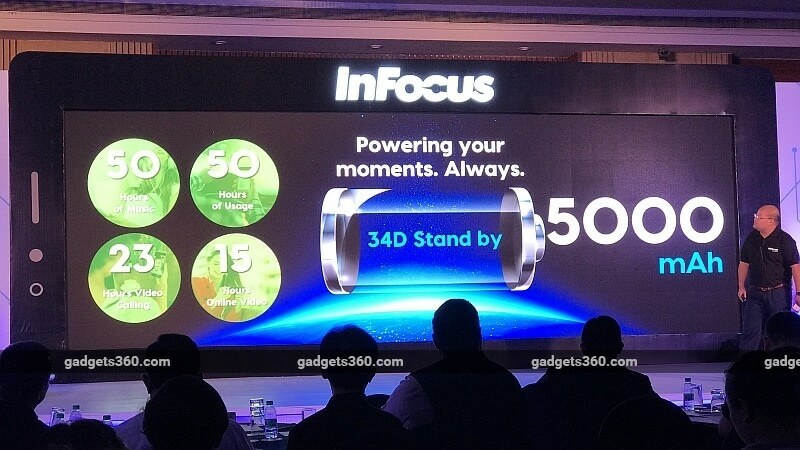 The InFocus Turbo 5 features a massive 5000mAh battery, its highlight feature. The smartphone will be exclusively available via Amazon India from July 4 in Mocha Gold and Pure Gold colour variants. The InFocus Turbo 5 price in India is Rs. 6,999 for the 2GB RAM/ 16GB inbuilt storage variant, and Rs. 7,999 for the 3GB RAM/ 32GB inbuilt storage variant. The dual-SIM (Nano+Nano) smartphone sports an all-metal design with a fingerprint sensor on the back claimed to unlock the smartphone in 0.5 seconds. The company is also touting fingerprint sensor shortcuts for selfies and flashlight. The smartphone runs Android 7.0 Nougat and sports a 5.2-inch HD (720×1280 pixels) display with 2.5D curved glass on top. The InFocus Turbo 5 is powered by a quad-core MediaTek MT6737 SoC (clocked at 1.3GHz) coupled with Mali T720 MP1 GPU and up to 3GB of RAM. As for the cameras, the new InFocus smartphone houses a 13-megapixel rear camera with LED flash and a 5-megapixel front-facing camera. Both front and rear cameras have an f/2.2 aperture. It is offered with either 16GB or 32GB of inbuilt storage, which is expandable via microSD card (up to 32GB). Connectivity options offered by the InFocus Turbo 5 include 4G VoLTE connectivity, Wi-Fi 802.11 b/g/n, Bluetooth, GPS, and FM radio. Of course, the major attraction here is the 5000mAh battery pack that is rated to last almost two days on a single charge, deliver up to 34 days of standby time, 50 hours of continuous music playback, and 23 hours of video calling. The smartphone can be used as a power bank for charging other devices, thanks to its reverse charging feature. The InFocus Turbo 5 is 8.95mm thick, weighs 164 grams, and sensors include accelerometer, ambient light sensor, digital compass, and range sensor. At the event, InFocus said it would focus on ‘full-screen’ bezel-less smartphones until the rollout of the 5G wireless mobile networks, and that it would launch a bezel-less smartphone later this year. The company says it is targeting sales of 6 million mobile units in 2017.